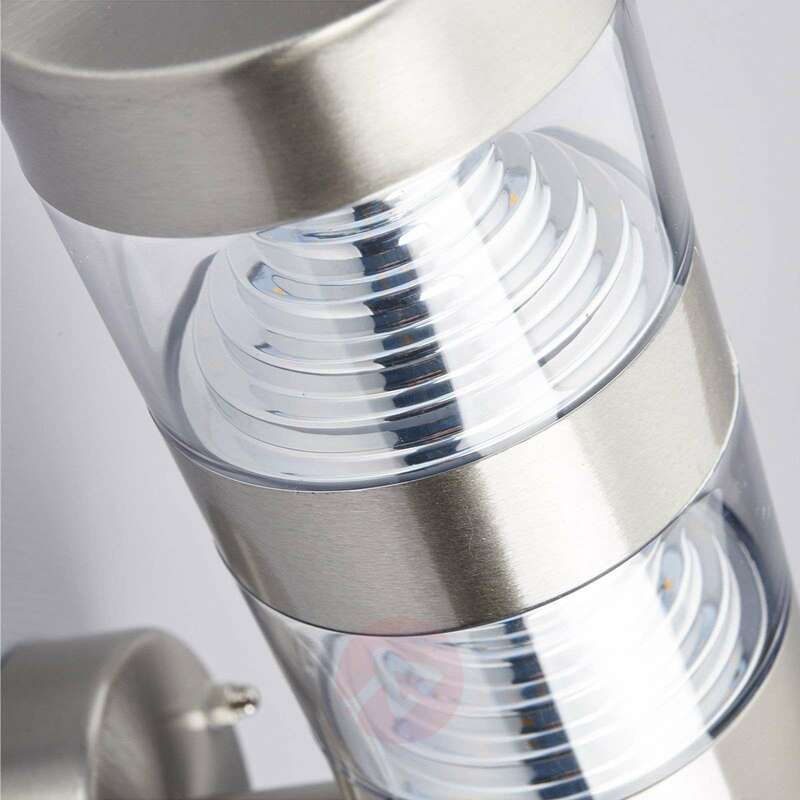 Stainless steel is the best when it comes to the selection of material for outdoor lights, because modernity and timelessness appear to be combined here optically. The matte silver surface fits to many façades, architecture styles and environments. 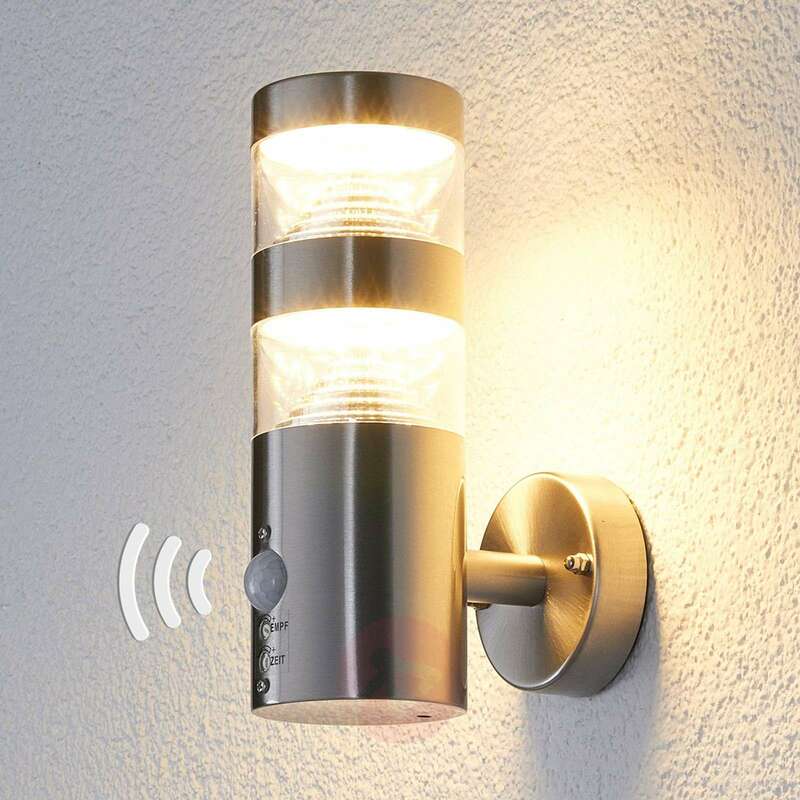 With its modern design, the LED outdoor wall light Lanea is featured without unnecessary details and brings light into the dark in an energy-saving manner, because the light diodes create a comparably high light current, while the energy consumption remains in a low range. 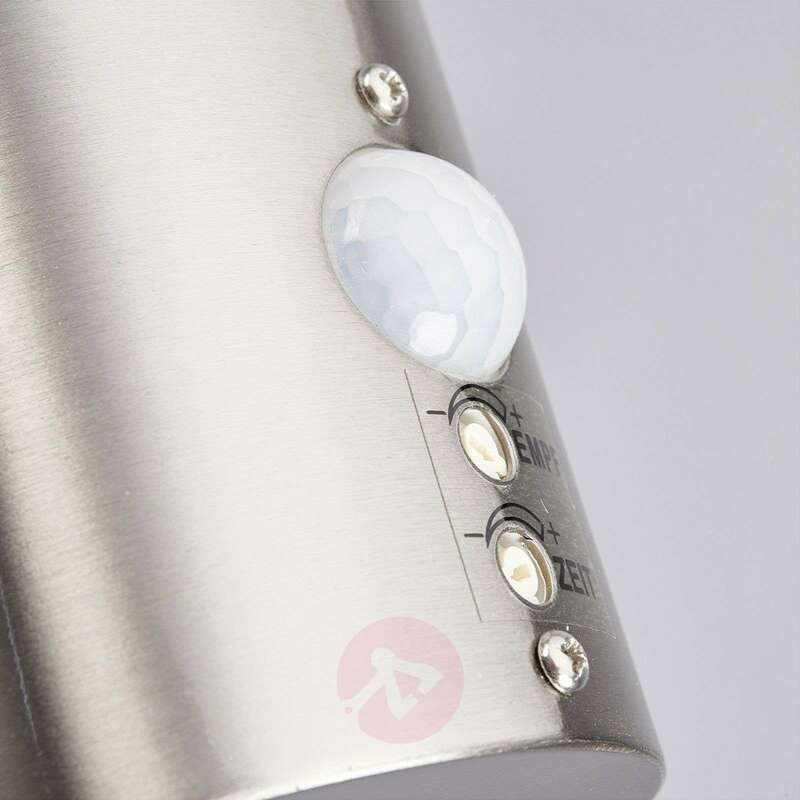 The LEDs from Epistar appear in warm white, which is always a good selection in all living areas, because it comes across as warm and comfortable compared to colder light colours. Can we use this light as normal light with a switch from inside the house to turn on and off at will, as well as setting it to PIR so we can use it as a security light as well? This light fitting is not overridable. 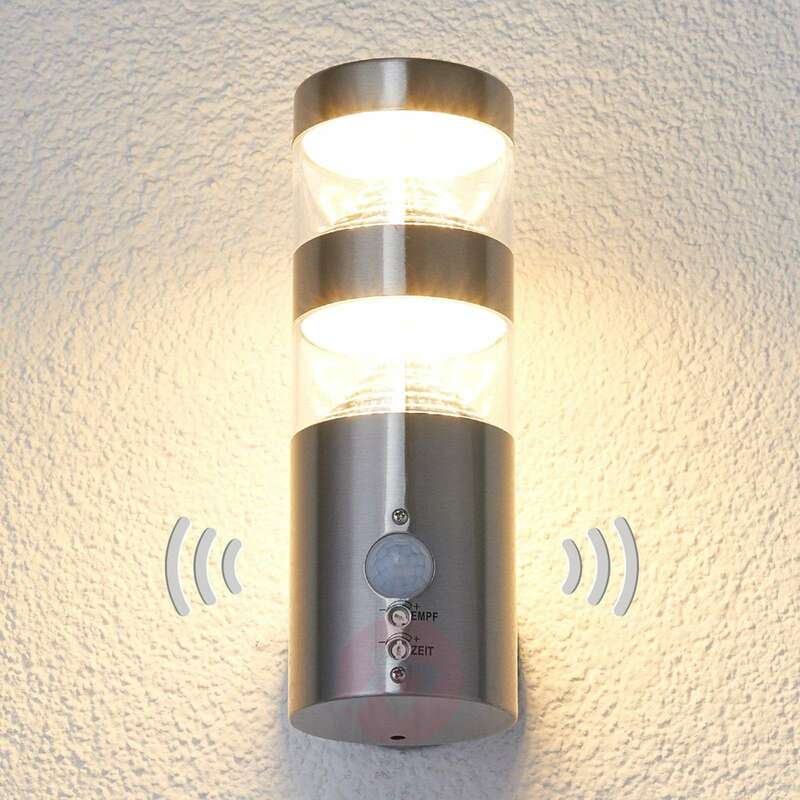 It will turn on when it detects movement. Thank you for your enquiry. Kindly note that the sensor cannot be adjusted vertically. Please contact our customer service for further assistance. 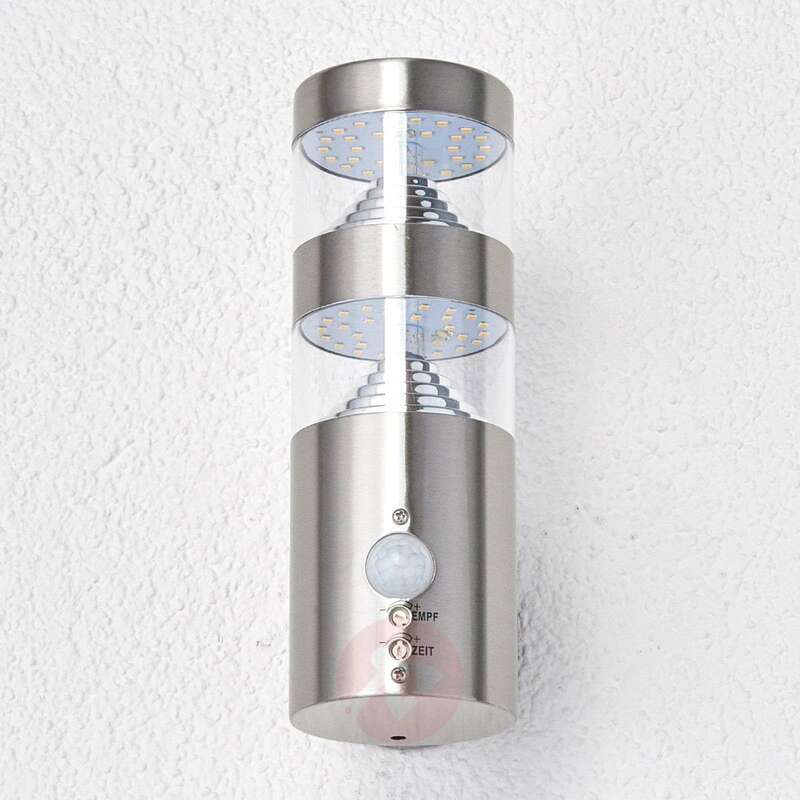 How rust proof is this light? 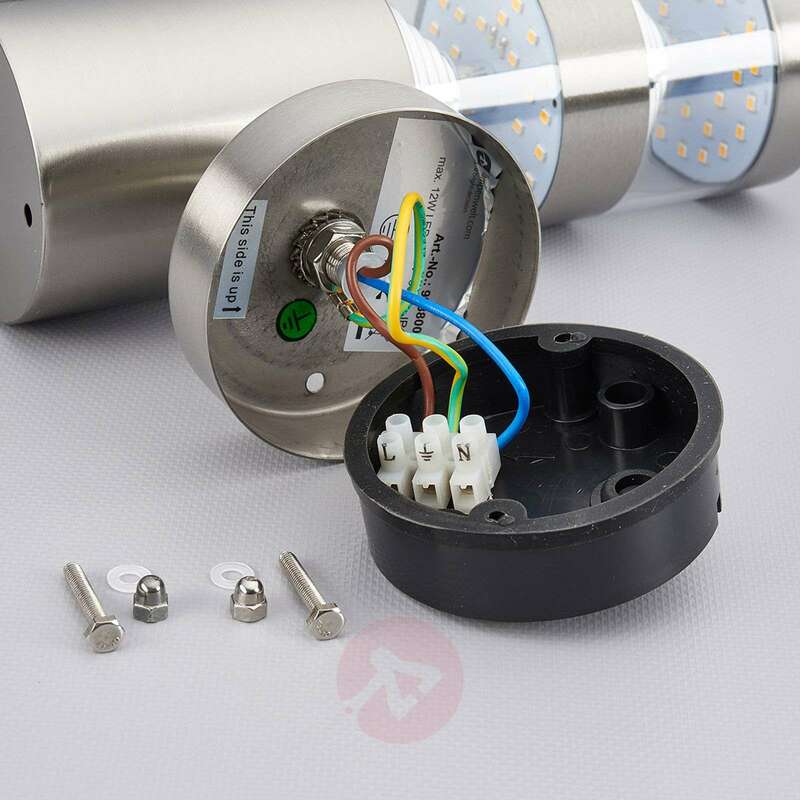 The item has a 304 stainless steel rating therefor it will rust in saline environments. 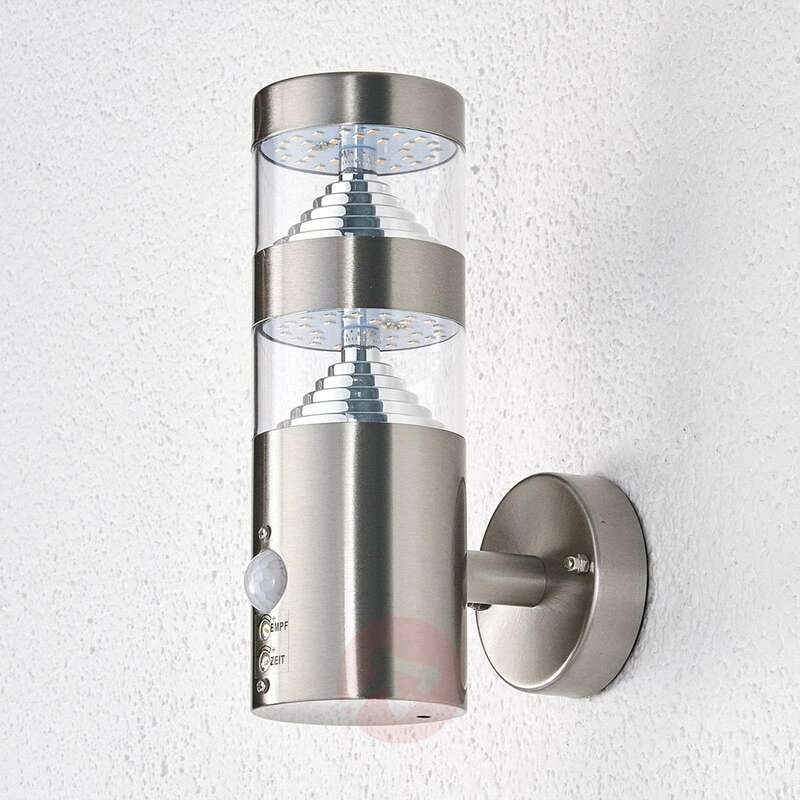 Modern compact outdoor light which is very bright and looks good. Has adjustment for light on time and distance sensitivity but not for dawn dusk light sensitivity but its not really an issue as it come on at sunset. Easy to fit. 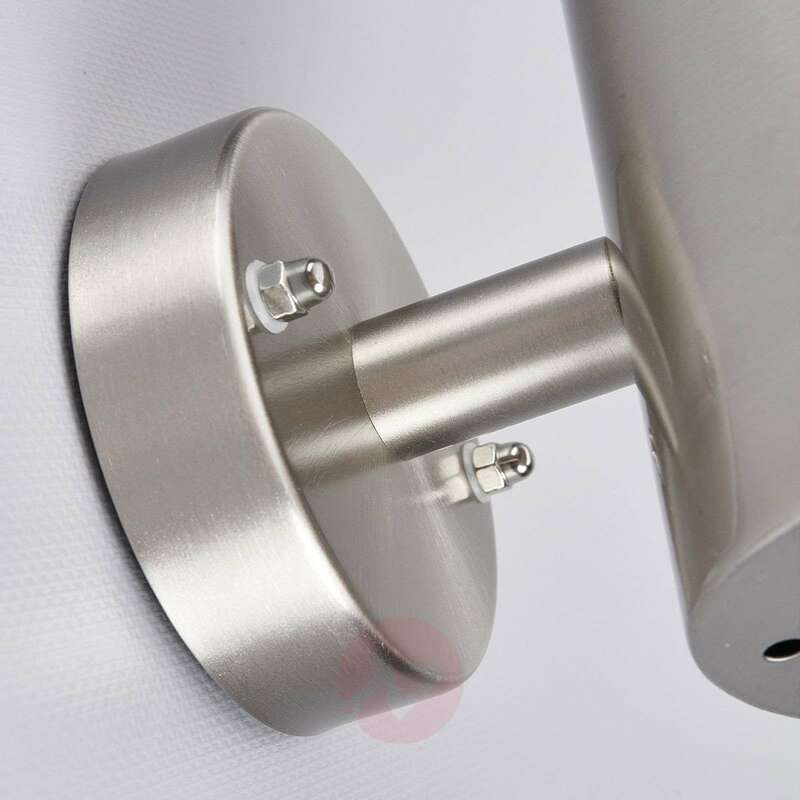 Good quality finish on stainless steel and glass/acrylic. As with many led lights looks like a led's arent replaceable. Overall very pleased with this product and would recommend. Works just as described. Good light and looks good. Well made and easy to install. Easy enough to install. Only issue is the wall bracket piece is small (smaller than the lights they are replacing, so needed to drill new holes. Dimension drawing showing the wall connection detail would have been useful. Very Satisfied with both the sensor ones and the ones without the sensors. The light performs very well. It’s nice & bright & the build quality appears to be very good.